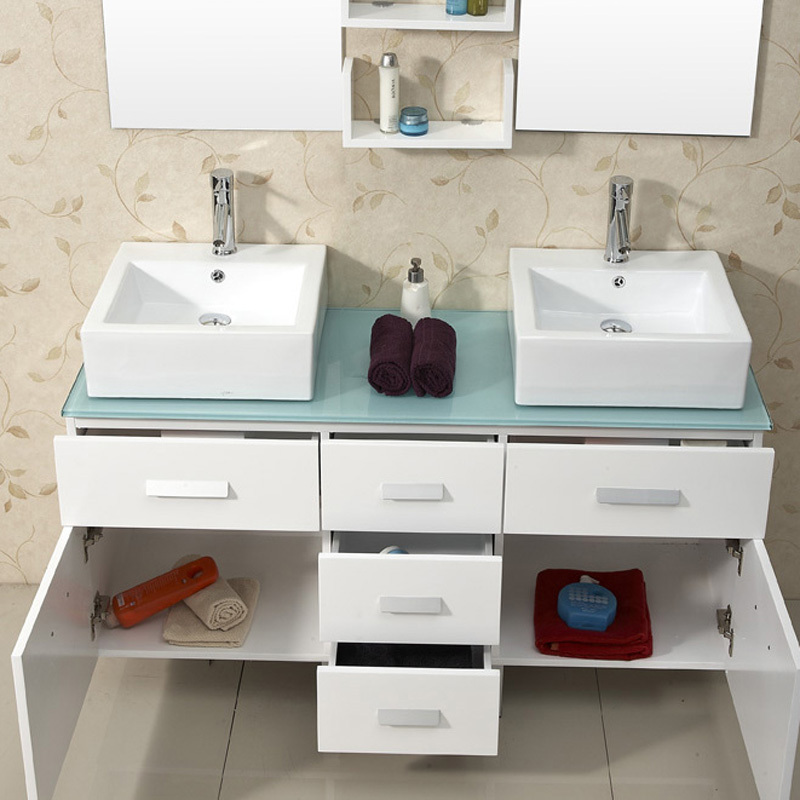 The 56.5" Maybell Double Sink Vanity is the perfect fixture for large, open bathrooms. It is made from solid Rubber wood, a hardwood with about the same density as maple. Rubber wood has very little tendency to warp or crack and is Eco Friendly. 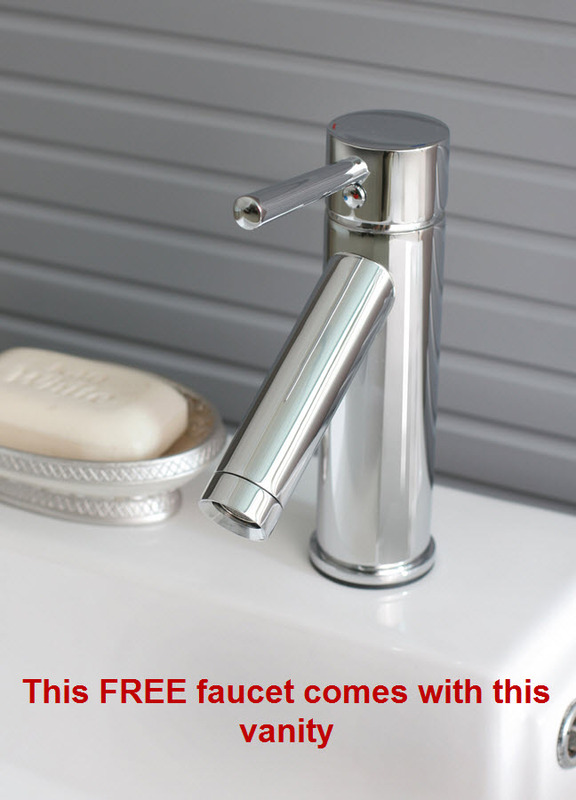 The white finish gives the piece a contemporary accent. 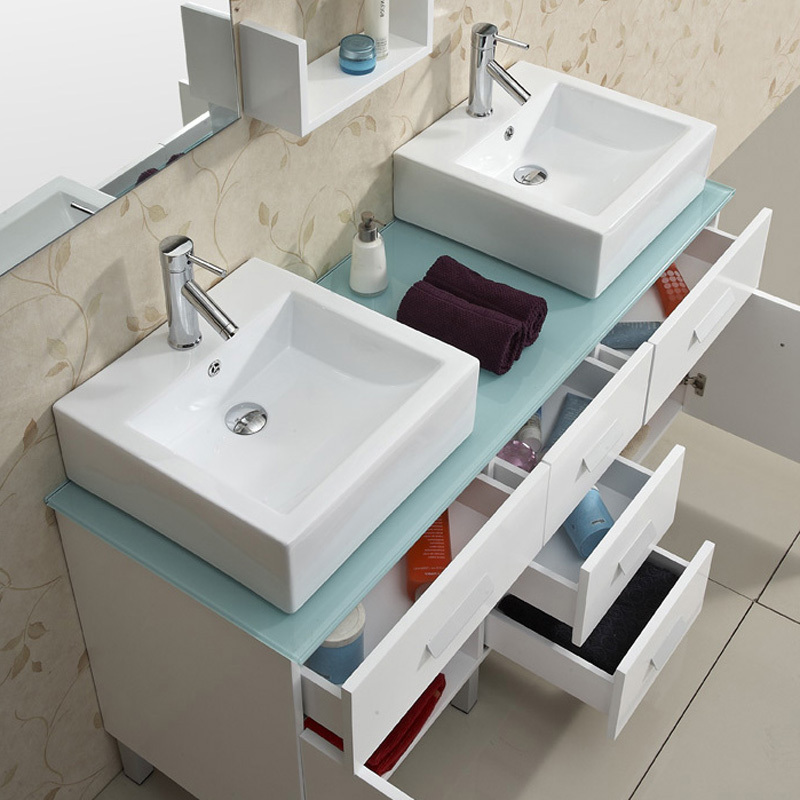 At the center of the vanity, three stacked flat-front drawers offer additional storage space, each completed 2 full-extension drawer slides for easy access to items at the back of the drawer. 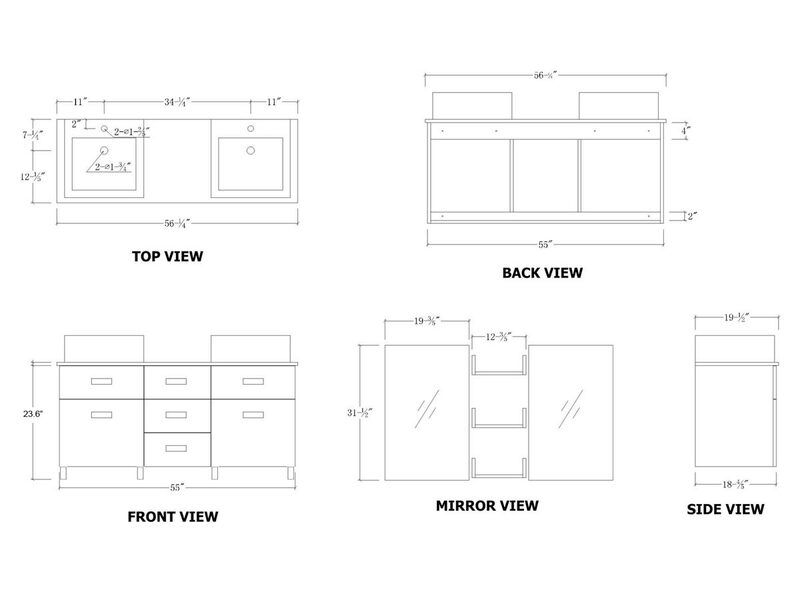 On each side of the drawers are panel doors that swing open to reveal under-counter storage area perfect for stowing soap, shampoo, tissue, and other bath essentials. At the base four chrome legs hold the vanity aloft. 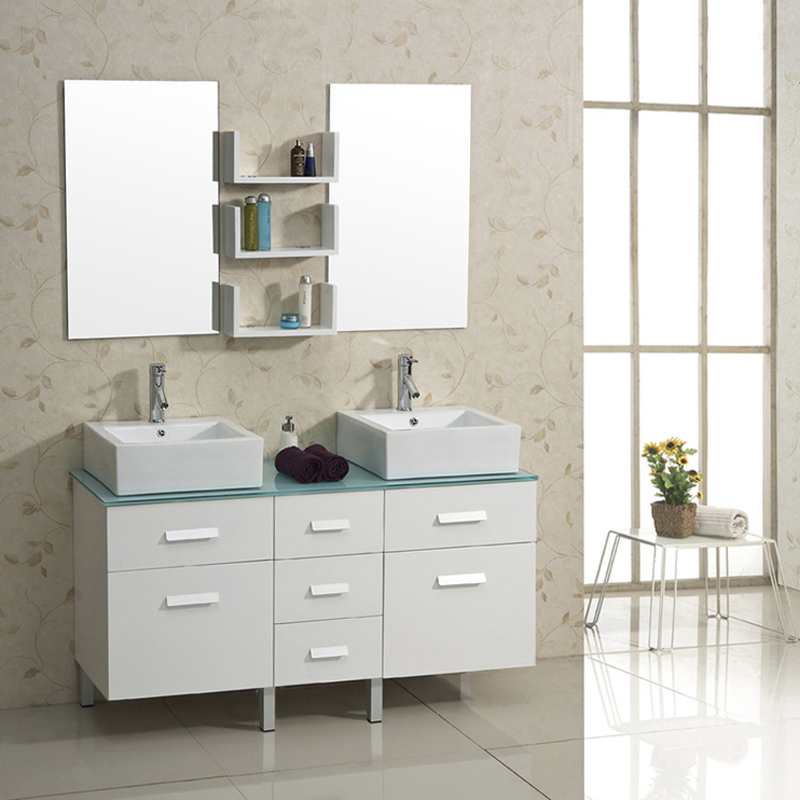 Vanity comes complete with elegant mirror, center shelf, and high class chrome finish faucets.